We’ve all had weeks like this. - by that's life! There’s nothing like ordering in for one to make you feel like a bit of a greedy pig. We justify this in all sorts of ways - sometimes you have to meet a minimum amount to qualify for delivery or maybe ‘we’ll keep it for lunch tomorrow’. But really sometimes we just have a bad day and simply want to indulge with a soothing food coma. 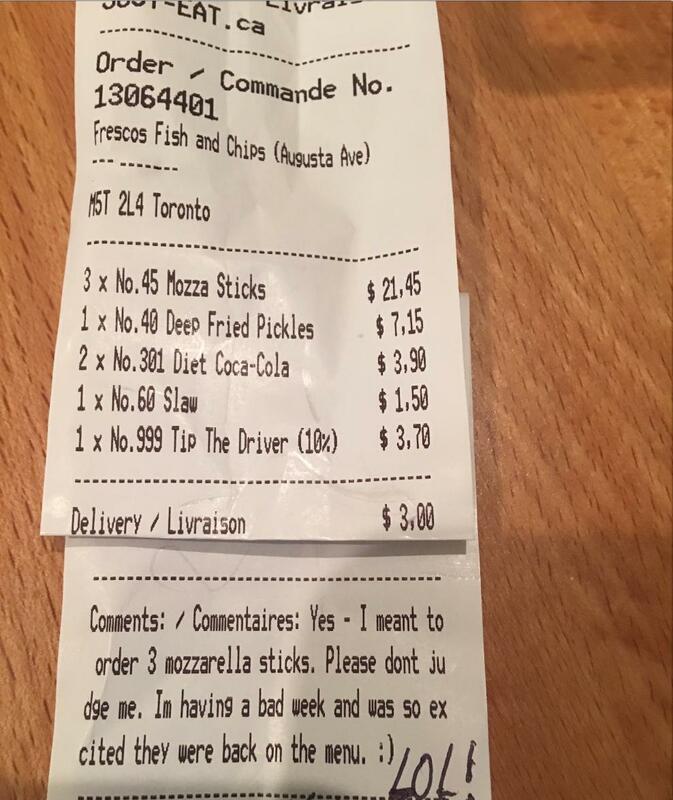 Yes I meant to order 3 mozzarella sticks. Please don't judge me. I’m having a bad week and was so excited they were back on the menu. Don’t worry, mate - we’ve all been there!